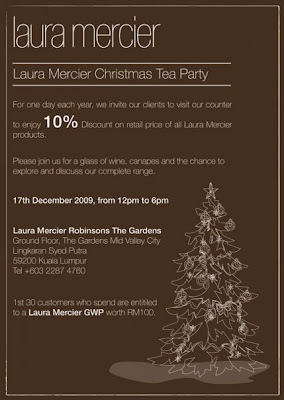 Enjoy10% off on all Laura Mercier Products from 12pm to 6pm. Extra gift worth RM 100 will be give out for 1st 30 customer. - Wine and light refreshment will be serve. Don't miss this opportunities to get yourself and your beloved one a set of Flawless Face and Holiday collection home..........Be the most glamorous and gorgeous star during this coming Christmas. Merry Christmas and Happy New New!!!! Thank you for joining my giveaway! Great wishlist item. I miss Phuket.